Attention-deficit hyperactivity disorder, or ADHD, is a behavioral health disorder that manifests with impulsive actions, difficulty concentrating, and similar symptoms. Because ADHD first begins in childhood, its effects on adults have often gone misdiagnosed. Read on to learn more about the causes and symptoms of ADHD in both children and adults, as well as treatment modalities and lifestyle changes that can help resolve the behaviors associated with this condition. The most common symptoms of childhood ADHD are grouped into three categories: hyperactivity, impulsivity, and inattention. Hyperactivity symptoms may include fidgeting, inability to sit still, difficulty playing quietly, restlessness, and constant talking. Children with impulsivity symptoms often interrupt others and may have trouble waiting or taking turns. Inattention manifestations of ADHD often include distractibility, trouble following directions, difficulty paying attention, careless mistakes, trouble organizing, frequently misplacing personal items, and frequent daydreaming. Some children primarily experience one of these symptom categories, while others exhibit a combination of symptoms from two or three. Because adult ADHD looks very different than childhood ADHD, it’s often undiagnosed–even in those who were diagnosed with this condition as children. Adults with ADHD often experience frequent lateness, anxiety or depression, low self-esteem, forgetfulness, trouble at work and school, trouble controlling emotions, substance abuse, procrastination, chronic boredom, difficulty concentrating, mood swings, and relationship problems. While experts don’t yet know the exact causes of ADHD, it’s thought to stem from a combination of risk factors including genetics, differences in the brain among those who have ADHD, chemical imbalance, poor nutrition or substance abuse during pregnancy, premature birth, low birth weight, brain injury, and exposure to toxins such as lead. Contrary to popular belief, ADHD is not linked to sugar intake, poor home life, food allergies, or too much screen time. If you suspect that your child may have ADHD based on the symptoms described above, the first step is to talk with his or her pediatrician. This condition can be diagnosed either by a primary care doctor or a mental health specialist. The healthcare professional will discuss the symptoms with you as well as with your child’s teacher and other caretakers, as well as observe his or her behavior in the office. The information gathered will be compared to the American Psychiatric Association’s Diagnostic and Statistical Manual, Fifth edition (DSM-5) to determine whether ADHD is present. According to the DSM-5, children must have six or more inattention symptoms present for six months or more, AND/OR six or more hyperactivity/impulsivity symptoms present for six months or more. For adults (anyone older than age 17), five or more symptoms from one or both categories must be present for at least six months. 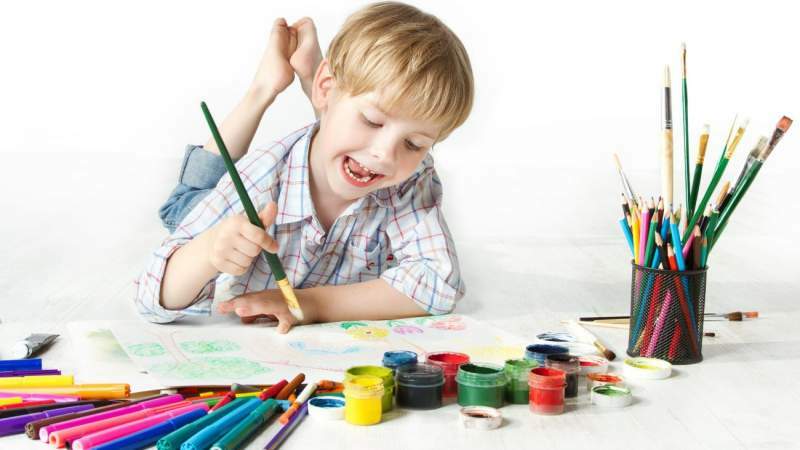 ADHD in children who are preschool age and younger can be difficult to diagnose; it’s important to bring in a specialist to ensure that these symptoms are not actually indicative of developmental delays. Both age groups must also have displayed one or more symptom before the age of 12 and several symptoms that are present in two or more different settings (school/home, for example). Symptoms must be severe enough to interfere with work, school, relationships, and/or home life. In addition, the diagnosing healthcare professional must rule out disorders that manifest with similar symptoms, including learning disabilities, anxiety disorders, depression, disruptive mood dysregulation disorder, oppositional defiance disorder, conduct disorder, bipolar disorder, and Tourette’s syndrome. In addition to displaying similar symptoms, these conditions often co-occur with ADHD. Most people with ADHD find that symptoms are controlled with a combination of behavioral therapy and medication. In children, stimulants are often used to increase attention span and control impulsive behavior. Common medications include Adderall, Dexedrine, and Ritalin. Older children and adults sometimes do better with nonstimulant medications, including Strattera and Intuniv. In combination with medication, behavioral therapy can effectively teach ways to modify behavioral symptoms associated with ADHD. Behavioral therapy for parents can give parents the skills and strategies needed to help a child with ADHD. Children with this condition may also benefit from special education classes and social skills training (such as practice taking turns or listening quietly during conversation). Counseling is helpful as a way to help learn ways to control emotions; family counseling is also recommended to help parents cope with the condition and help their child use coping strategies and therapies effectively. As a parent, showing your child love and appreciation can help improve self-esteem. This is especially important for children with ADHD because so much focus is on “bad” behavior. Make sure you give your child affection and talk about his or her good qualities as well. Spend one-on-one time whenever possible. Help your child with organization strategies, including ways to keep schoolwork in order and a quiet, dedicated place to study. Keep a regular schedule for schoolwork, meals, free time, and bedtime, and warn your child a few minutes ahead of time to ease transitions. And make sure he or she gets enough rest. Display patience with your child. When giving directions, speak slowly and clearly, and use as few words as possible. Be aware of situations that trigger ADHD symptoms in your child, and plan for them accordingly. Pay attention to diet. Some people find they’re able to control ADHD to some degree with diet choices. Making sure you’re getting enough of the foods that optimize brain function can help. In particular, foods rich in protein – such as meats, nuts, fish eggs and poultry can be particularly beneficial.